From the recent measles outbreaks at Disneyland to the effective rate of this season’s flu vaccine, the controversy surrounding pediatric immunizations is everywhere: news, social media, Capitol Hill, and, of course, healthcare facilities nationwide. 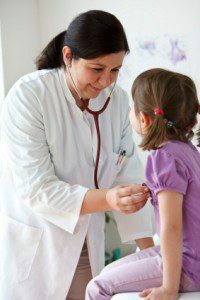 Patients and parents of patients seek the advice of their healthcare professionals, and nurses and other healthcare professionals need to know the facts about the recommended pediatric immunization schedule. List the current recommended schedule of immunizations per the CDC and discuss how the list is updated. Identify 10 preventable diseases for which children routinely receive immunizations. Discuss symptoms and complications of these diseases. Be familiar with combination vaccines and their components. Explain the proper nursing procedure for administering vaccinations. Identify the potential reactions that may occur from immunizations. Describe any contraindications to receiving immunizations. Identify common misconceptions about vaccinations and describe the nurse’s role in changing this.